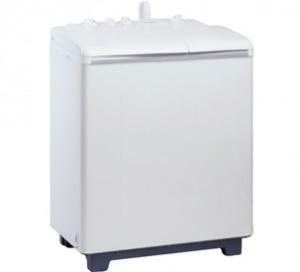 The 18" ADA Compliant Built In Dishwasher from Avanti will be the best addition to your place. The dishwasher features 8 Place Settings, 4 Automatic Cycles, 2 Racks, Cutlery Basket, Electronic Controls, and Three-Stage Filtering System. 8 Place Settings>Upper and Lower Racks>Cutlery Basket>Three-Stage Filtering System>ADA Compliant>Electronic Controls This item cannot ship to APO/FPO addresses. Please accept our apologies. 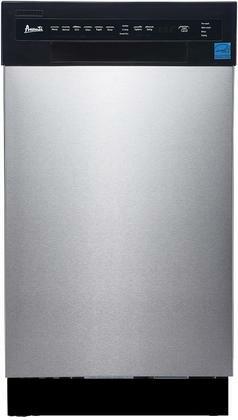 The Built-In Dishwasher from Avanti will be the best addition to your place. The unit features 6 Automatic Cycles, Soft Touch Control Panel, 8 Place Settings, 3 Stage Filtering System, and 2 Nylon Coated Racks. Energy Star Cleans 8 place settings>Soft touch control panel with LED indicator lights> Delay Start>Nylon Rack Coating>One piece silverware basket with handle>6 automatic cycles (Heavy, Normal, Eco, Glass, Rapid>Rinse)>3 Additional Wash Options (Sanitize, High Temp, Heated Dry Cycle) This item cannot ship to APO/FPO addresses. Please accept our apologies. 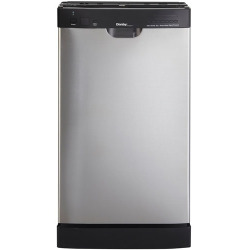 This mighty dishwasher is perfect for tight kitchens, a small cabin, or an RV. 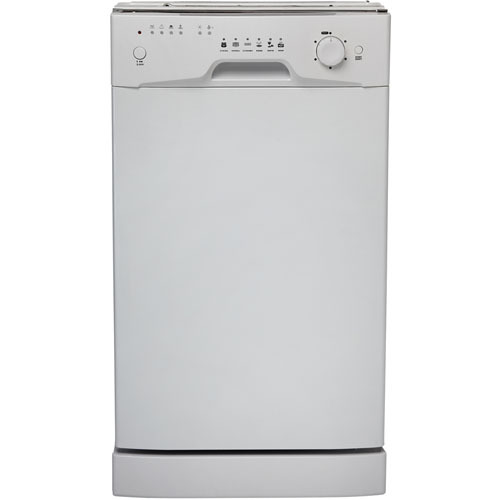 Avanti's built-in dishwasher features a clean white door, a stainless steel interior, and one upper and one lower nylon-covered rack, each with its own spray arm. A rinse aid dispenser comes with this unit which has four wash cycles: Normal, Heavy for stronger cleaning, Light for small plates and glasses, and a Quick Wash cycle for your on-the-go needs. Don't let its size fool you. 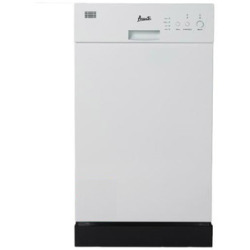 This Avanti dishwasher gives an A-plus performance every time. Built-In Installation>4 Automatic Cycles>8 Standard Plate Settings Capacity>Stainless Steel Interior Resists Stains and Corrosion>Nylon Coated Upper and Lower Racks with Handle This item cannot ship to APO/FPO addresses. Please accept our apologies.